Siberia is suffering from a snow 'Tsunami' with whole towns and buildings buried under huge volumes of snow. Here, by comparison, we had a modest dusting of snow overnight and already, the children are out with their trays and toboggans looking for anything resembling a slope on which to slide. From the weather forecast, this is just the start of the snow and we should expect more this evening and tomorrow, as the weather that passed us by yesterday, out towards Dover makes a slow circle back with the south-easterly wind, rather like a spoonful of salt on the edge of a slowly revolving gramophone record. 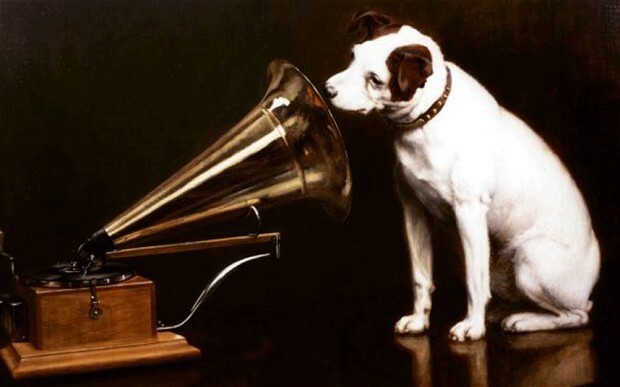 If you happen to be under the age of twenty, then perhaps someone will explain what a gramophone record is or was and what Nipper the dog, in the now defunct HMV trademark logo, was listening to; '"His master's voice.' being the by-line. With the cold snap and snow forecast, I invested in a new heavy weather jacket for the winter. I resent having to pay designer prices for well-known brands like the North Face, particularly as I suspect quality and price don't always go hand in hand. Because my winter aviation work frequently takes me to isolated cold, wet and muddy airstrips, I'm inclined to go with tough, waterproof and warm, military issue clothing, the classic submariner's sweater and Salomon boots. 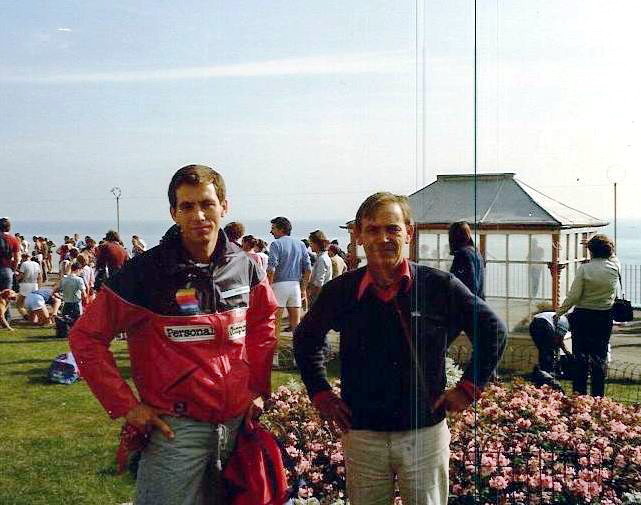 Outdoor clothing and synthetic materials have come a very long way in over thirty years, since I recall shivering in a snow dugout, wearing our standard issue NATO camouflage or spending over £100 on my first Gore-Tex running jacket. The best value for money products, in my opinion come from either Helikon or Mil-tech at less than half the cost of designer brands. Early Gore-Tex - Thanet Half Marathon 1983? This weblog appears to be under a very determined attack by spammers, attempting to leave comments extolling the virtues of everything from online gambling sites to a drug to treat erectile dysfunction called 'cialis.' I wonder if they have an interest in Thanet-related news by coincidence or perhaps they know something about its tastes and demographics that I don't. In both examples, I can almost guarantee, that if I let any of the comments through and if anyone was foolish enough to follow one of their links, then they would likely be robbed or infected with a computer virus. Before I forget. Southern Water have told me that the water leak in Cuthbert Road / Dent De Lion road in Westgate should now be fixed. Residents had reported flooding to another Councillor and it transpired that with the recent rain, their had been subsidence and a new gulley had to be dug. This took rather longer to resolve than I would have liked and I was unaware of the problem until I heard from our MP, Sir Roger Gale. I must apologise for the delay. As many readers will know, I'm easy to contact through email, the internet, Twitter and phone and if you need a local matter dealt with urgently, I try and have an answer within the hour if not 24-hours. I should add, that I can't deal with residents requests from outside my own ward and have to direct these to the proper elected representative. With some 30,000 Thanet Life page views a month now and because I'm visible, I'm getting such approaches, more regularly, from as far away as Ramsgate. On occasions, I quite understand readers' frustration, when Councillors of any political party, reportedly ignore their attempts to make contact on pressing local matters. It should not happen and is quite unacceptable. You are quite right about councillors ignoring requests etc. I live in Birchington South and have asked all three councillors the same question via email re Manston. AB responded fairly quickly, JC did so after some nudging, apparently there was a problem with his emails. I still await JW. And all this before Christmas. I also asked our County Councillor the same question, he has not replied. Simon with the spam issue you may find that the majority of spam comments relate to a few old posts that have words in them that attract the spammers, I have found that disallowing comments on these few posts mitigates the problem considerably. To do this go to the post click on the pencil icon to modify the post, then the options link on the right, dot don’t allow show existing, then the update link. Mine seem to be pretty much spread out and as soon as I post anything new, like today's, they are on it like a shot. Already deleted three! Im in the same camp as Michael on the spam, with only one post being the target on VV. All originating from Sweden... Closing comments earlier this week solved that one. I understand JC had a computer virus so he was offline for some time but I thought he sorted it out a while back, well before Christmas. Trying it with a couple of posts that have attracted the most spam comments. "Shutter Speed" being one. I can't for one minute believe that the wise and venerable Councillor Doctor JC would fall foul of a computer virus. Surely he's far too clever and worldly to allow such a thing to happen. Must have been a plant. In the last month, the following visits make me suspicious: Up to no good and likely looking for weaknesses to be able to drop code into the site. A random request Simon - sorry! I wondered if you knew what was being built on the land behind Homebase and Westwood Cross near Nash Court Road? Here's the latest example but without the website link! I have broken out my Canadian winter clothing. The boots are guaranteed down to -40C/F and I used to wear the parka on top of just a tee shirt in -20C. The clothing was cheap to buy and looked after me through three Ontario winters, with occasional daytime HIGHS of minus 30C. In Canada everything at local council level seems to work. The snow is cleared, the roads are in a good state of repair, rubbish is collected every week, etc. Yet the young hanker to come to UK because it is more fun. I think it has something to do with water supply. I keep meaning to walk over and ask the workmen, but it seems I'm too lazy these days.